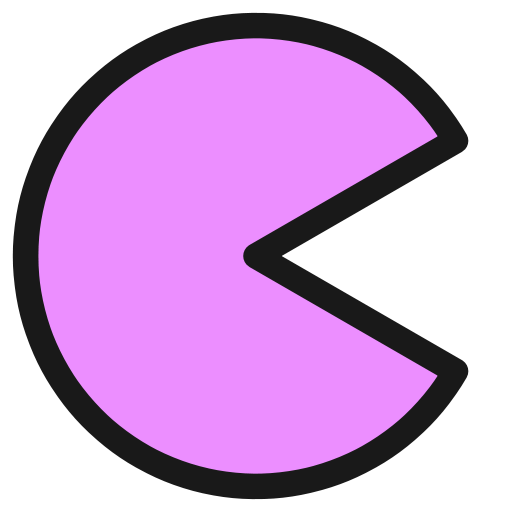 PACMAN is short for Parallel Architecture & Compiler technology of Mobile, Accelerated, and Networked systems. HPC-Oriented Power Evaluation Method. Feng Zhang, Liang Chen. 4th International Workshop on Power-aware Algorithms, Systems, and Architectures, ICPP PASA 2015 (ICPPW '15). To Co-Run, or Not To Co-Run: That is a Question. Feng Zhang, Jidong Zhai, Wenguang Chen, Bingsheng He and Shuhao Zhang. IEEE 23nd International Symposium on Modeling, Analysis and Simulation of Computer and Telecommunication Systems 2015 (MASCOTS '15). Optimizing seam carving on multi-GPU systems for real-time content-aware image resizingOptimizing seam carving on multi-GPU systems for real-time content-aware image resizing. Ikjoon Kim, Jidong Zhai, Yan Li, Wenguang Chen. The Journal of Supercomputing May 2015 (TJSC '15). GridGraph: Large Scale Graph Processing on a Single Machine Using 2-Level Hierarchical Partitioning. Xiaowei Zhu, Wentao Han, Wenguang Chen. The 2015 USENIX Annual Technical Conference (USENIX ATC '15). Kernel Data Race Detection using Debug Register in Linux. Yunyun Jiang, Yi Yang, Tian Xiao, Tianwei Sheng, Wenguang Chen. IEEE Symposium on Low-Power and High-Speed Chips (COOL Chips), 2014. Optimizing Seam Carving on Multi-GPU Systems for Real-time Image Resizing. Ikjoon Kim, Jidong Zhai, Yan Li and Wenguang Chen. The 20th IEEE International Conference on Parallel and Distributed Systems (ICPADS2014). December 2014. CYPRESS: Combining Static and Dynamic Analysis for Top-Down Communication Trace Compression. Jidong Zhai, Jianfei Hu, Xiongchao Tang, Xiaosong Ma, Wenguang Chen. Proceedings of the 26th International Conference for High Performance Computing, Networking, Storage and Analysis (SC2014). November 2014. Cybertron: Pushing the Limit on I/O Reduction in Data-Parallel Programs. The 29th Annual Conference on Object- Oriented Programming Systems, Languages, and Applications. Tian Xiao, Zhenyu Guo, Hucheng Zhou, Jiaxing Zhang, Xu Zhao, Chencheng Ye, Xi Wang, Wei Lin, Wenguang Chen, Lidong Zhou. The 29th Annual Conference on Object- Oriented Programming Systems, Languages, and Applications (OOPSLA 2014). Nondeterminism in MapReduce Considered Harmful? An Empirical Study on Non-commutative Aggregators in MapReduce Programs. Tian Xiao, Jiaxing Zhang, Hucheng Zhou, Zhenyu Guo, Sean McDirmid, Wei Lin, Wenguang Chen, Lidong Zhou. The 36th International Conference on Software Engineering (ICSE 2014). Chronos: A Graph Engine for Temporal Graph Analysis. Wentao Han, Youshan Miao, Kaiwei Li, Ming Wu, Fan Yang, Lidong Zhou, Vijayan Prabhakaran, Wenguang Chen, Enhong Chen. EuroSys 2014. ACIC: Automatic Cloud I/O Configurator for HPC Applications. Mingliang Liu, Ye Jin, Jidong Zhai, Yan Zhai, Qianqian Shi, Xiaosong Ma, and Wenguang Chen. Supercomputing 2013 (SC), 2013. Cost-effective Cloud HPC Resource Provisioning by Building Semi-Elastic Virtual Clusters Shuangcheng Niu, Jidong Zhai, Xiaosong Ma, and Wenguang Chen. Supercomputing 2013 (SC), 2013. SMILE: streaming management of applications and data for mobile terminals Yangyang Zhao, Wentao han, Ruini Xue, Wenguang Chen. Int. J. Cloud Computing 2012. Taming Hardware Event Samples for Precise and Versatile Feedback Directed Optimizations. Dehao Chen, Neil Vachharajani, Robert Hundt, Xinliang Li, Stephane Eranian, Wenguang Chen, Weiming Zheng. IEEE Transactions on Computers. 2011. Cloud versus in-house cluster: evaluating Amazon cluster compute instances for running MPI applications. Yan Zhai, Mingliang Liu, Jidong Zhai, Xiaosong Ma, Wenguang Chen SC 2011. One optimized I/O configuration per HPC application: leveraging the configurability of cloud. Mingliang Liu, Jidong Zhai, Yan Zhai, Xiaosong Ma, Wenguang Chen. APSys 2011. RACEZ: a lightweight and non-invasive race detection tool for production applications. Tianwei Sheng, Neil Vachharajani, Stéphane Eranian, Robert Hundt, Wenguang Chen, Weimin Zheng. ICSE 2011. OpenMDSP: Extending OpenMP to Program Multi-Core DSP. Jiangzhou He, Wenguang Chen, Guangri Chen, Weimin Zheng, Zhizhong Tang, Handong Ye. PACT 2011. Efficiently Acquiring Communication Traces for Large-Scale Parallel Applications. Jidong Zhai, Tianwei Sheng, Jiangzhou He, Wenguang Chen, Weimin Zheng. IEEE Trans. Parallel Distrib. Syst. 2011. MapCG: Writing Parallel Program Portable between CPU and GPU. Chuntao Hong, Dehao Chen, Wenguang Chen, Weimin Zheng, Haibo Lin. PACT 2010. DefUse: Definition-Use Invariants for Detecting Concurrency and Sequential Bugs. Yao Shi, Soyeon Park, Zuoning Yin, Shan Lu, Yuanyuan Zhou, Wenguang Chen, and Weimin Zheng. OOPSLA 2010. We recruit talented students and interns at all levels, and postdoctoral researcher positions are also available for candidates with highly qualified academic record. If you have strong programming capabilities and enthusiastic about computer system and high performance computing, please do not hesitate to contact us! We are a professional and serious research team, and expect to work with you.